Confirmation of booking is only valid upon receipt of a deposit of 25% of the total cost. i) Confirmation of availability for specific dates as received from “Afroditis-House” reservations is not considered as a confirmation to a reservation. A booking is only confirmed upon receipt of a deposit. ii) The deposit must be received by “Afroditis-House” no later than the date as specified by the reservation’s department. iii) Confirmation of the deposit made should also be forwarded to “Afroditis-House” reservations by either fax or email. 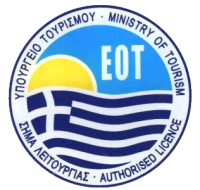 Full refund – When a cancellation to the booking has been made with a minimum of 30 days notice (from the date of check in) being given to “Afroditis-House” reservation’s department. The balance to the booking is made at “Afroditis-House” prior to the departure date.